It used to be that the time-honored tradition of writing a letter to Santa was carried out with paper and pen. These days, kids have gone digital; Santa now gets more pings than letters. One evening, while chatting with the Easter Bunny, Santa learned about a solution to his global social media problem: the HootSuite Enterprise command center. Once he discovered the ease with which his team of elves could monitor his global social networks, keywords and campaigns, he contacted us for help. 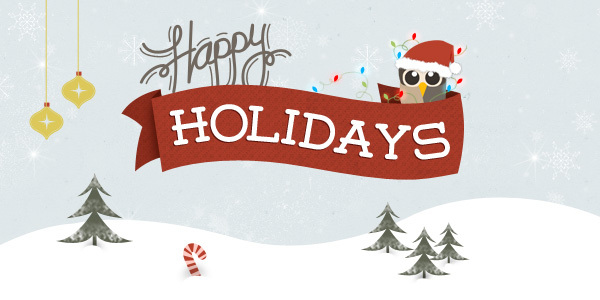 To prepare for the upcoming holiday season, we’ve gathered our top development elves and set aside holiday resources to create the ultimate Santa social media command center. Share with your kids, colleagues and friends, especially if they have opinions about fruitcake, in-laws or even Santa himself. Monitor and track keywords to see who loves cookies, and who loves milk. Find out which products are trending, to get elves’ production going. Monitor how many people ‘like’ Santa and Christmas on Facebook. 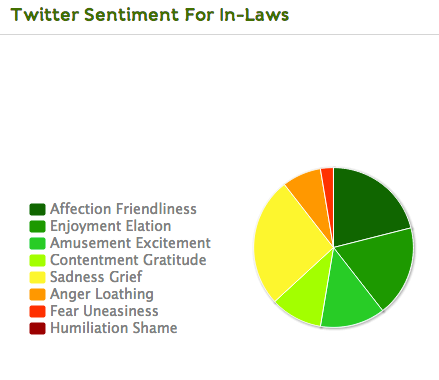 Track the overall Christmas spirit and sentiment, via keywords. Our Santa Tracker chart accurately displays real-time changes in the Twitter sentiment of fruitcake. Go on, you say? The chart displays a polarity of feelings on the liquor-soaked fruity dessert. Some find it humorous, some fear it and others enjoy it, which to me must be a joke or a fib to their in-laws and co-workers on Twitter. Interested in tracking social initiatives for your business? HootSuite command center is available for HootSuite Enterprise clients. To start monitoring your brand’s social media campaigns this season, register here. 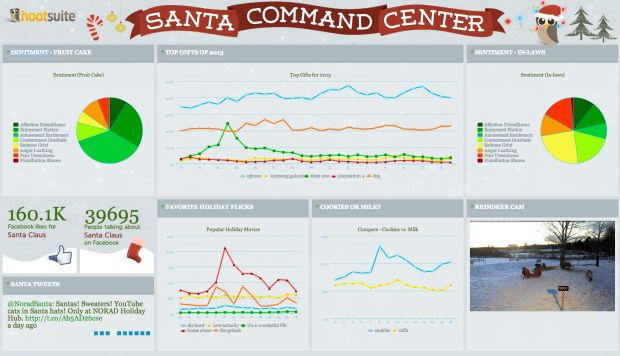 Click here to view Santa’s Command Center.